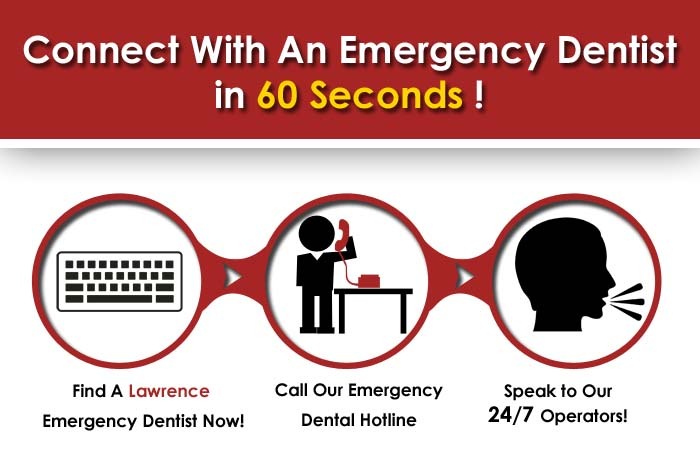 Call today to find an emergency dentist in lawrence ks, we are the #1 resource for quickly finding a 24 hour dentist near you in Lawrence! Dental injuries, such as chipped teeth, gum bleeding, etc. can often come without any notice. Children and the elderly can injure themselves badly in a moment’s carelessness. In such a situation, one has to keep calm and seek immediate professional help, as matters can get from bad to worse if ignored. Emergency dentists are the ones to turn to when there are such mishaps; mainly due to the fact that the clinics remain open 24/7 for these unforeseen emergencies. Besides, busy office goers can schedule appointments on weekends when normal clinics are not open. Hence, emergency dentists are highly prized and are very important service providers in any locality. Lawrence is not only the sixth largest city in the state of Kansas, it also happens to be the county seat of Douglas County. 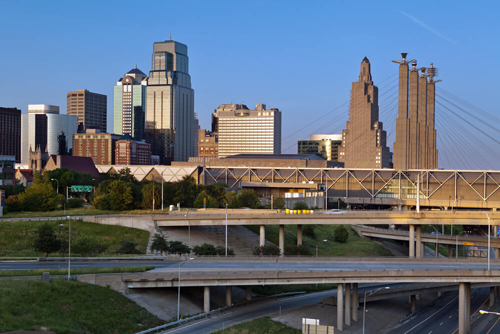 As of 2013, the population of Lawrence, Kansas has been 90,811. It is evident that emergency dentists are the busiest in a big city like Lawrence.Emergency dentists and dental clinics are readily available to cater to your dental needs. In case you have an emergency, keeping some contact numbers in your diary is always a good idea, as you never know when you need them. Given below is a list of emergency dentists that you can go to during sudden dental problems. Description: You can call 24 hours a day and 7 days a week to speak to an after hours dentist by using our emergency dentist Lawrence hotline. Whether you are looking for a dentist that is open on the weekend, or even a walk in emergency dentist, we’ve definitely got you covered. Our partners maintain a relationship with scores of dentists all over the country. Description:At Dr. Paul D. Herrera’s office, patients’ oral health is the primary concern. Hence, they provide a wide range of services from regular cleanings and exams to advanced restorative treatments. Some of them are sealants, fillings, sedation dentistry, non-surgical periodontal treatment, gum grafting, flap surgery, and cosmetic gum surgery. They are located at 645 Country Club Terrace and you can call them at 785-331-0027 to book an appointment today. Description:Dr. Keith Jones and his experienced team at Lawrence Dental Care Centre are committed to providing patients with personalized and high quality dental care. They offer a comprehensive list of restorative, cosmetic, and general dental services that are designed for the entire family. A family dentistry located at 647 Country Club Terrace, call them today at 785-841-0233. Description:Dr. Les and Kelly Miller have been operating as a family business and prioritize superior personal care for their patients. The team possesses exceptional skills and their office is equipped with state of the art machinery. Located at 545 Columbia Drive, they offer several different dental solutions. Call them today for to book an appointment or during emergencies at 888-993-1707. Description:Dr. Thomas Rainbolt, Dr. Ed Manda, and Dr. Brend Jones have been serving the residents of Lawrence, Kansas with high quality care since 1994. They are dedicated to providing dental services in a caring and comfortable environment. A dentistry that has operated for over 20 years, it is located at 1425 Wakarusa Drive, Ste A and you can call them at 785-841-3311 to book an appointment or for more information. Check out the Lawrence KS chamber of commerce dentist page.